The 55mm #21 Orange Filter from Tiffen is a filter designed to build contrast in black and white photography and creates separation between the tones. The filter absorbs blue and blue-green colors, rendering blues darker such as for skies in landscape or aerial photos and water in marine shots. The filter has a filter factor of 4.5, so you must increase your exposure by 2 1/3 of a stop to compensate. 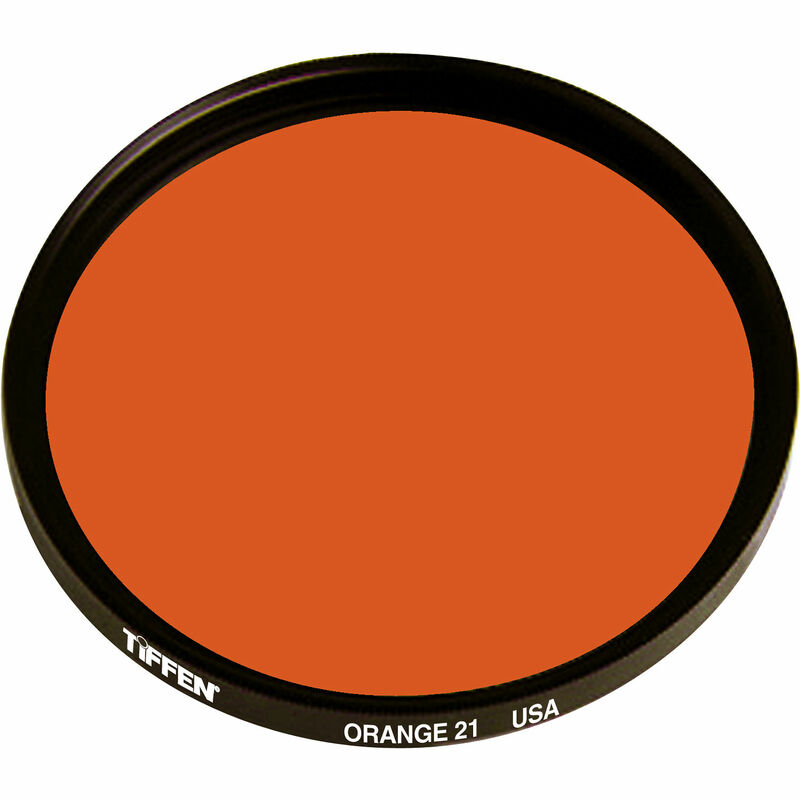 Tiffen filters are not dyed, but are manufactured by using ColorCore technology. This process laminates the filter material between two pieces of optical glass and grinds down and polishes the glass. The glass is then mounted to the metal ring, which after that can be screwed onto the lens for the desired effect.